So I am in Hawaii for vacation and I was near the edge of the coast, a giant wave came up and sauced me on the rocks. Had to get some stitches but I am living, some pretty sweet footage. Now I have condensation inside my GoPro Black Hero 5 lens and I don't know what to do about it. I have another week in hawaii so if theres any home remedies for this please let me know. I am assuming I shouldn't take it in the water anymore but is there anything else I should be worried about. 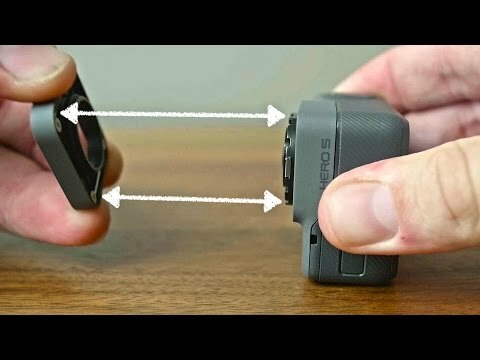 @grandcave38013 - The lens cover on the HERO5 Black is removable. Pull on it while turning. It will be tight, but it will turn and pop off. Once it's off, you can dry out the inside. Check the seals around the lens cover, and then reattach the lens cover by pressing in and turning a quarter turn. The HERO5 Black is waterproof with or without the lens cover, so any moisture inside there is not an issue. The lens cover just provides and extra layer of protection from bumps and damage, so it is something you want to keep on. You are the man, problem solved, more tricky then I thought getting the lens off. If anyone else finds this problem, heres a helpful example on youtube. Glad it worked out. Have a great time in Hawaii!